WELCOME TO BUENOS AIRES, a furnace of football fanaticism and arguably the epicentre of ultra activity in the Southern Hemisphere. Argentina’s capital is notorious for being a city that breathes football, and the combination of quality on the pitch and passion in the stands gives it a unique allure that draws worldwide appreciation. Whilst there is no denying the appeal of Superclásico rivals Boca and River Plate, football in Buenos Aries has plenty more to offer than one fantastic rivalry. Casual fans may not be too familiar with the name Vélez Sarsfield. However, a lack of universal recognition should not be confused with mediocrity as El Fortin are a fantastic club that boast plenty of honours, including one of the greatest sets of supporters throughout the whole of South America. Vélez are probably the city’s fourth most recognisable club, behind Independiente and Racing Club, as well as the Superclásico duo. In recent years they’ve enjoyed just as much success as their four better-known rivals – lifting five of their 10 domestic titles over the past decade. 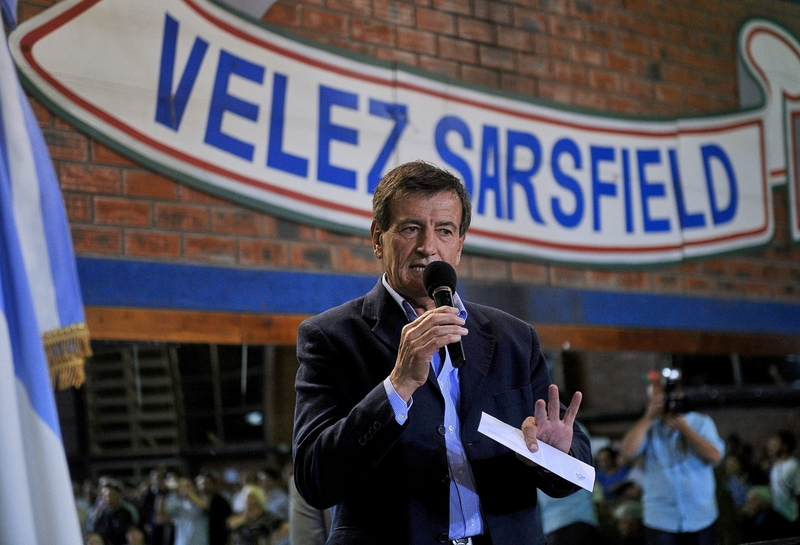 The main thing to really set Sarsfield aside from the crowded plethora of teams in Buenos Aires, though, is their famous Barra Brava. ‘Barra Brava’ is the term commonly used for organised supporter groups in Latin countries and is a movement that unsurprisingly emerged from Argentina. Ultras in the country first came to prominence in the 1950s and ’60s, remaining at the forefront of South American fan culture ever since. Predictably, Buenos Aries is the main hub of activity and Vélez’s La Pandilla are one of the most exciting on the continent. La Pandilla, which translates to ‘The Gang’, are everything you’d expect of an Argentine barra brava group. Situated in the open terrace behind the goal, they regularly transform the Estadio José Amalfitani into a melting pot of passion and energy. Announcing your presence is a central part of any ultra firm and the Vélez mob make theirs known in style. Rather than turning up early, La Pandilla often wait until kick-off before storming into the terrace on a sea of wild chanting. It is an entrance that various gangs across the football world use, but that shouldn’t detract from its impact. If the purpose of a fanatic is to galvanize his supported team whilst simultaneously intimidating the opponents then it is a case of mission accomplished by the Sarsfield barra brava. Once on the terrace, La Pandilla always generate the levels of atmosphere that has become ubiquitous with football in the Argentine capital. Displays of electric blue tifos, along with the incessant chorus of thundering chants and the exuberant use of flares ensure that matchday is never boring at the Amalfitani, regardless of what is or is not happening on the pitch. Not only are La Pandilla one of the best ultra groups in the Southern Hemisphere; they are also widely recognised as the gang that really initiated the barra brava movement in Argentina – and subsequently the whole of Latin America. Whilst the episode that kick-started it all is particularly sad, its importance cannot be overlooked. Whilst organised fan groups in Argentina had been running since it was introduced to the nation back in the late 19th century, it wasn’t until the late-1950s that barra brava activity became a serious matter. Sadly, the origins are rooted in the death of a fan inside the Estadio Amalfitani. Mario Alberto Linker was an 18-year-old Boca Juniors fan who was shot during a 1958 clash between Vélez and River Plate. Rather than being an act of supporter violence, though, this was a murder perpetrated by police who fired a teargas into canister into the rioting away end. The killing drew an instant retaliation as the stadium vicinity descended into mayhem, with the arrest toll reaching in excess of 100, but it was the long-term reaction of barra brava groups that would really change the landscape of football in Argentina forever. The timing of this sorry chapter is of huge significance as it coincides with the “year of betrayal” in which the country opened itself to mass foreign investment, in addition to new laws allowing the introduction of religious and privatised institutes. Inevitably that led to mass public antipathy and a number of large-scale protests. Subsequently, police tyranny increased as was underlined by the nature of Linker’s death. Throughout the ensuing decades, football gang culture in Argentina became dominated by a philosophy of safety in numbers. This naturally saw barra brava groups grow larger in both size and stature in order to stave off the threat of rival firms as well as a merciless police force. Football has been accompanied by violence at every turn ever since and that risk of potential fighting is still omnipresent across this football-mad district even to this day. 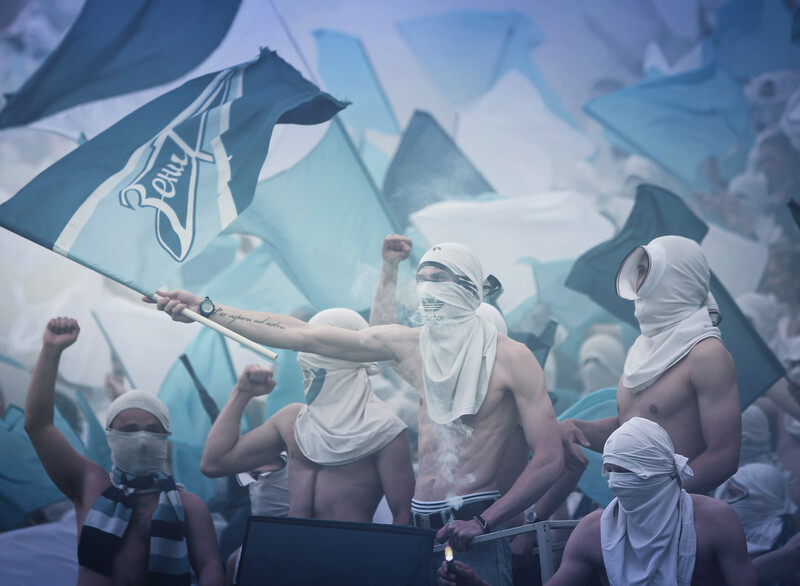 When it comes to hooligans, Vélez are far from immune. Football rivalry in Argentina doesn’t just provoke sporting competition, it incites pure hatred. In this part of the world, affiliation to a particular club is fundamental to a person’s DNA and that is a key facet of what makes football in this country so appealing to the outside world. There isn’t a single city on the planet that can match Buenos Aires in terms of passion for soccer and, as a result, the barra bravas aren’t just a group of like-minded supporters. La Pandilla are a band of brothers; a family united by the love of their team, willing to live and die for the cause. Whilst the threat of violence provides the heartbeat of Argentina’s extraordinary and unrivalled atmosphere, it isn’t the main attraction of standing on the terraces with La Pandilla. The rush of that initial barra brava charge at the start of every game is a truly exhilarating experience that remains tattooed on the brain of any football tourist fortunate enough to witness it. 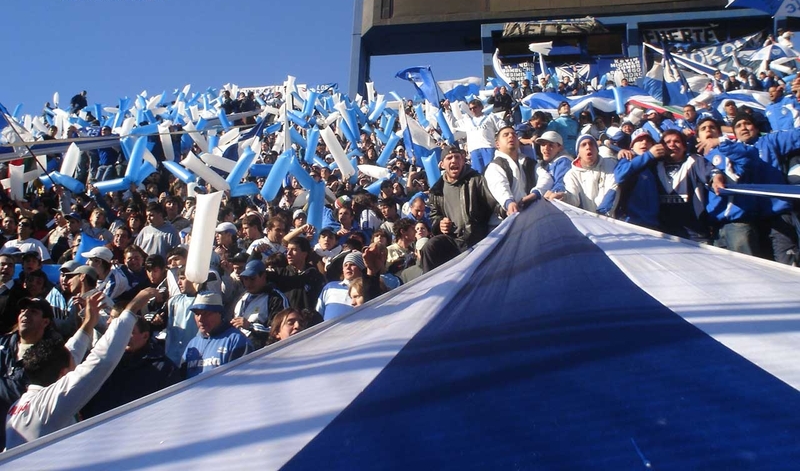 Talking from experience, the Vélez fans are extremely welcoming and proud to have outsiders supporting their club and that only underlines the fact the foundations of this phenomenal fan group are built on ideologies of solidarity and adulation for their team rather than the need for physical confrontations. Nevertheless, that by-product of gang rivalry cannot be ignored and it even surfaced during my visit to the Estadi Amalfitani. The game that I experienced was another Buenos derby as Vélez hosted All Boys, who play just three kilometres away in nearby Floresta. Clubs in the Argentine capital are representative of their corresponding provinces and that perhaps gives reason to the feeling of tribal rivalries that accompanies every clash between neighbouring enemies. Either way, it all lends to an absolutely buzzing atmosphere. As an outsider, you can’t help feeling a little apprehensive as you enter an alien world that somehow seems so familiar, but there is no denying that La Pandilla boasts something really special. Whilst the threat of violence does hang over the entire match experience, that uncertainty is what propels the excitement to new heights. This particular derby game lasted just half an hour before crowd trouble, instigated by the away fans, culminated in the referee taking the players back to the changing rooms. Moments later, anarchy had befallen the entire stadium as fans became antagonised by the unnecessary use of tear gas from police on the home fans. The next hour was a blur of pure adrenalin; the only thing to remain clear was the undying roar from the thousands of chanting fans – another stark reminder that this united band of brothers are there for each other no matter what. To leave a football game after just 30 minutes of action and still rank the experience as one of the top three match days in my life is a tribute to the quality of Vélez’s barra bravas. After announcing themselves in emphatic style, the loyal demonstrations of tifos and banners created a party atmosphere that arguably surpasses anything found in the stadiums of Europe. La Pandilla are one of the best ultra groups in all of South America and their relatively recent climb to the top on the pitch certainly adds an extra spice to their rivalries off it. They might not match Boca or River Plate in terms of worldwide fame, but they certainly stand shoulder-to-shoulder with the Superclásico rivals when it comes to passion on the terraces. Vélez were central to the origins of South American ultra culture and their involvement in the barra brava movement has played a significant role in helping Buenos Aries acquire the worldwide acknowledgement as one of football’s greatest cities. The continued brilliance of the current generation ensures that their legacy lives on.